Its been a busy week sharing my birthday with another close friend of mine and what better way to do it than the Singaporean way – BUFFETS! Breakfast/Lunch/Brunch/High Tea/Dinner/Supper (yes no joke about supper), and they come in all varieties hailing from many origins but ultimately, there is only one result; overstuffed people! Are buffets really pleasure or pain (for both the wallets and the tummy)? Doesnt the picture already look inviting? a) Shabu is a clear light soup base which they recommend to cook the meats in but it wasn’t my cup of tea as it had a slight tinge of fishiness and not that yummy to drink. 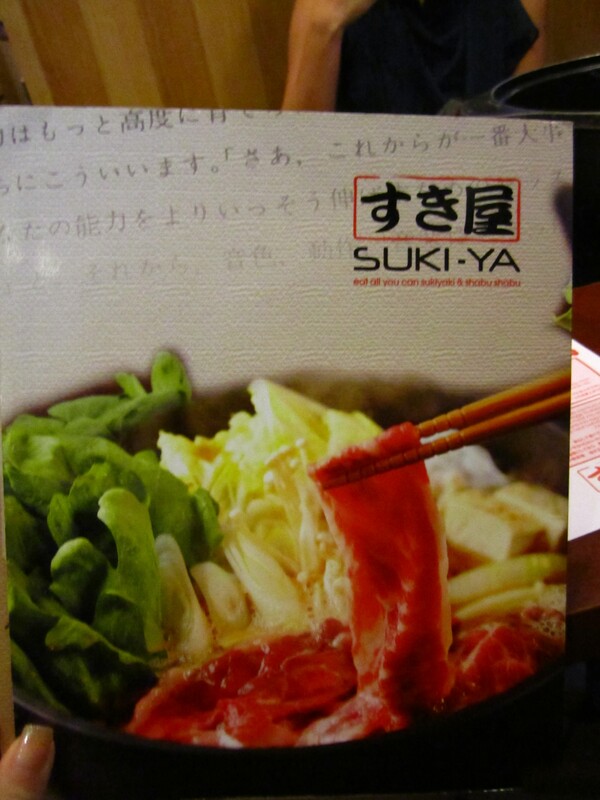 b) Sukiyaki is a sweet soup base and popularly used in most Japanese restaurants for your hotpot soups. This is my personal favourite as it envelops the food in this sweet yet light flavour and after a few rounds of meat cooking, the soup is potent and oh so yummy to have with some tang hoon soaked in it. Slurps! C) Kimuchi isn’t as spicy and thick as I had hoped it would be but a better alternative than Shabu for me. As much as I’m a chilli lover, I still like steamboat soup base to be non-spicy and light. 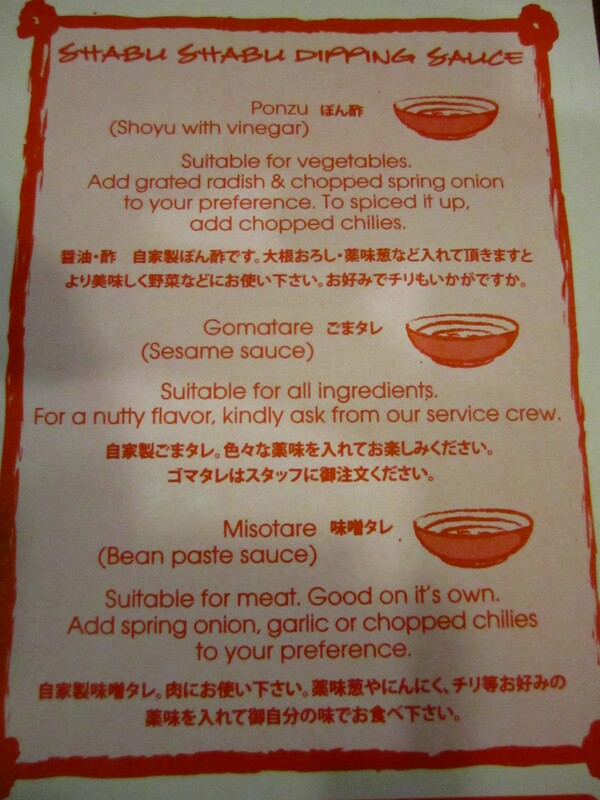 And then you have the all important dipping sauces which is really up to personal preferences! Then it comes down to serious business.. Suki-ya isn’t a place for seafood craves and must-haves because it does not have a single trace of seafood (cept in their processed food). 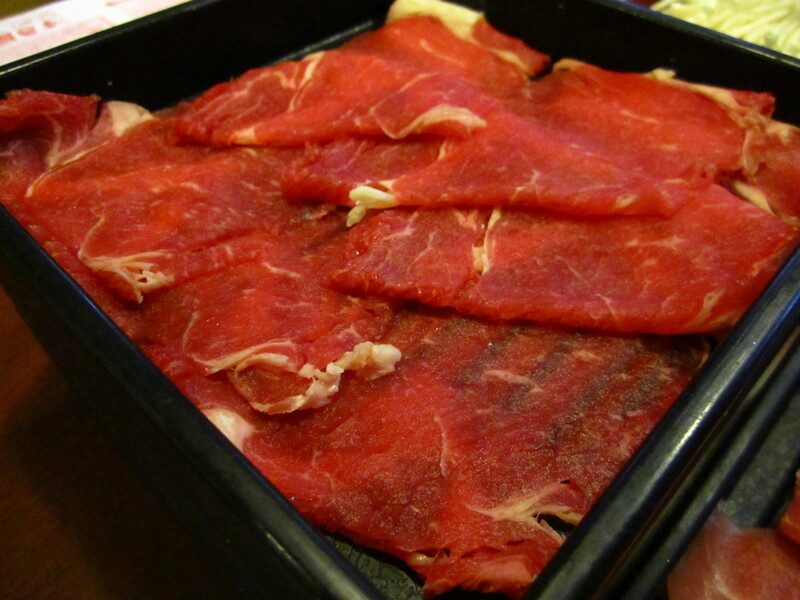 But what that is to really savour is their thinly sliced pieces of almost fresh meat (you won’t taste the frozen meat taste because of the soup broth and the dipping sauce!) which is sweet and from the right cuts. To make the most out of your money, don’t waste time on the noodles and processed food; but eat your veggies! 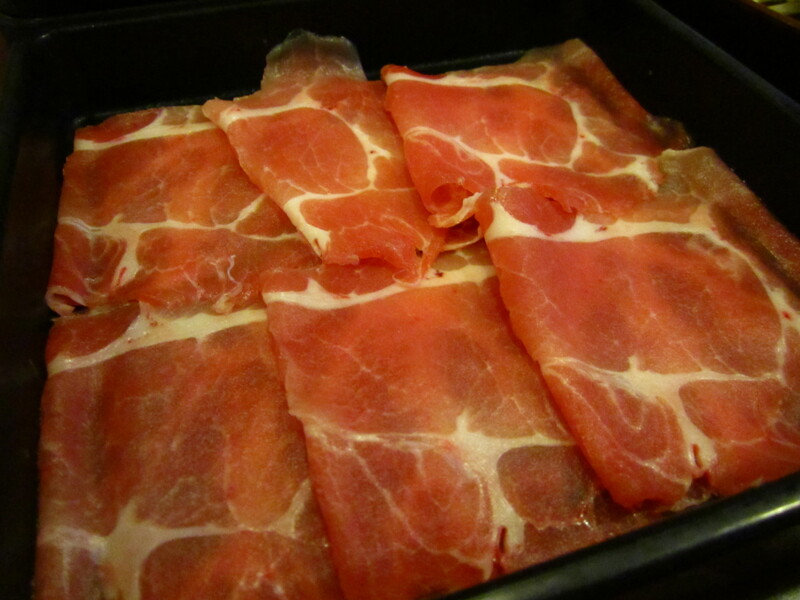 The meat is good to fill you for the whole meal and keep you really happy and its not cheap to get this same cuts and in shabu style in supermarkets too. The place is not too big and over crowded which helps with the ambience, quality of the food is good although not so much on the variety. Service is adequate but its steamboat so how much service do you need! Plus point, no hot sticky steamboat experience, just a nice comfortable air-conditioned environment and I won’t come out smelling of cooked food! This is one place I’d definitely be back over and over again, 4 of 5 stars!